Plastic here, plastic there, plastic everywhere!! What a mess…. support a greener world. 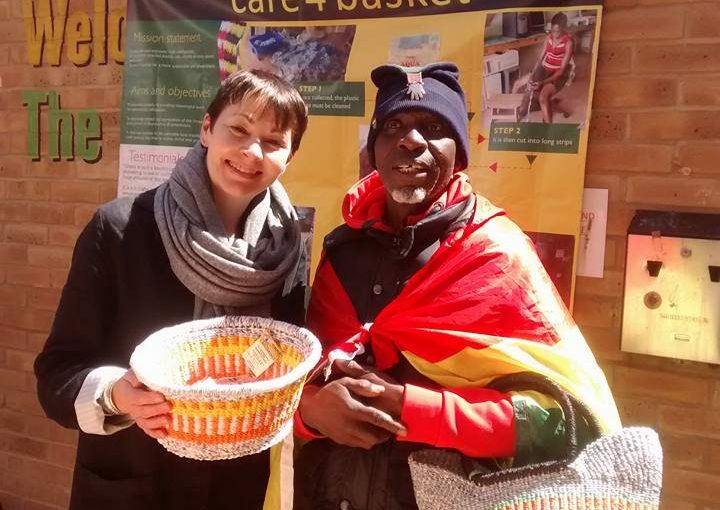 Caroline Lucas, MP for Brighton and co-leader of the Green Party, met Jib Hagan at the Care 4 Basket stall. The environment and plastic waste is a very important topic for both the Green Party and Care 4 Basket.